With the release of Wiseguy on DVD, one of the best TV series of the 1980s gets a new lease on life. Long before Donnie Brasco brought similar drama to the big screen, Ken Wahl brought charisma, credibility, and chutzpah to his small-screen role as Vincent Terranova, a handsome 30-year-old agent with the FBI's Organized Crime Bureau. As conceived by cocreators Stephen Cannell (of The Rockford Files and The A-Team fame) and Ken Lupo, Wiseguy followed an innovative "story-arc" structure, allowing Vinnie's deep-cover missions to last only as long as necessary to bring each case to a sensible conclusion. Since copied by countless TV shows, this unique approach to storytelling attracted a devoted following of viewers addicted to the self-contained plots that forced Vinnie, his sourpuss OCB handler Frank McPike (Jonathan Banks), and disabled covert liaison Dan "Lifeguard" Burroughs (played by double-amputee Jim Byrnes) to achieve their objectives within 6 to 10 hourlong episodes. 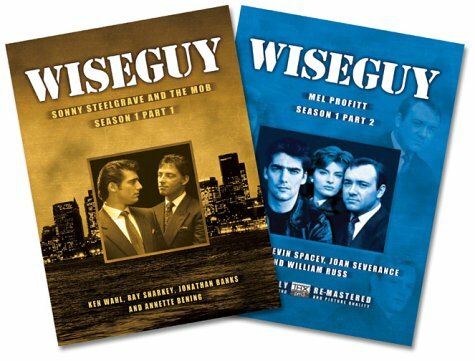 Season 1, Part 1--the first of six Wiseguy DVD sets--includes the entire nine-episode arc (plus pilot) in which Vinnie infiltrates the New Jersey mob family of Sonny Steelgrave, a silk-suited kingpin played by Ray Sharkey in his finest TV role. Their brotherly relationship poses a moral dilemma for Vinnie (giving the arc its dramatic core and primary source of suspense), and Wiseguy earned its reputation as a well-written series that favored character-driven tension while providing the requisite pulp fiction (i.e. occasional murder and mayhem) that kept viewers and advertisers happy. While the DVD packaging gives bogus equal billing to Annette Bening (who appears here in one pivotal episode), her pre-stardom appearance is indicative of the show's consistently high standards in writing, casting, and stylish direction. The styles may be dated (including poodle-puff hairdos for women, including Bening), but there's not a weak episode in the bunch, including the stand-alone shows (involving domestic crises for McPike and Burroughs) that allowed character growth beyond the story-arc structure. After the intense "Sonny Steelgrave" arc of first-season episodes, the producers of Wiseguy faced the challenge of topping themselves, and they did it by casting a relatively unknown New York stage actor named Kevin Spacey, who proceeded to chew up the scenery as only a future Oscar®-winner could. 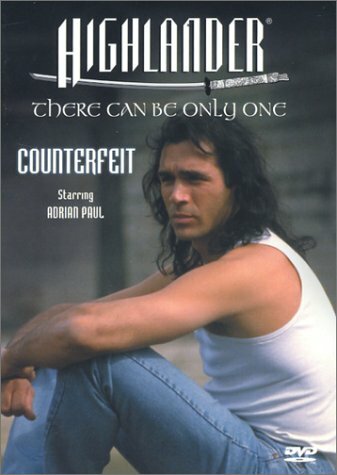 But Spacey's not the only reason for the giddy success of the "Mel Profitt" arc, which finds OCB agent Vinnie Terranova (Ken Wahl) teaming up with sociopathic assassin Roger Lococco (William Russ) in an effort to infiltrate the global drugs-and-guns empire of the Proffitt siblings Mel (Spacey), a "manic-depressive genius with acute paranoia," and his codependent sister Susan (Joan Severance), who keeps her incestuously devoted brother happy by injecting home-brewed narcotics between his toes (hence giving Spacey his trademark line, "Only the toes knows!"). 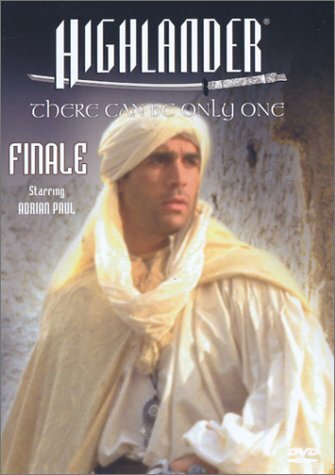 Ok, so this i probably mostly my own fault for not having done the proper research on it before I purchased it, but when I saw the DVD Highlander "Finale", I was expecting an individual release of the actual final episode of Highlander: The Series. Naturally, I was quite disappointed when I found it to actually be the season finale from year three...which I already have on DVD because I own the complete season boxed set. However, I give this three stars despite that setback due solely to the fact that being a part of the Highlander series it is naturally a wonderful piece of action/adventure/sci-fi/fantasy storytelling. 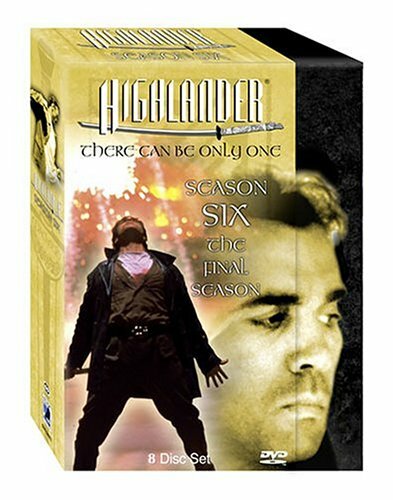 If you already own season three you can probably skip this release (unless you are set on having every Highlander DVD that's produced). If not, then I recommend giving this release a shot.